Write down 5 to 10 top keywords with long tail keywords that you think users will search for to find your business online and order the 3 to 5 main relevant keywords for each page. Use these popular keywords on your website content, blogs and when sharing on social media. So get social, particularly set up Google My Business Profile - this will give you that extra bit of traction on Google Local search. Relevant page titles are important for SEO. These page titles are displayed on Search Engine Results Pages (SERPs) and act as preview micro ads, which encourages visitors to click through to your website. Ensure it contains your most important keywords/phrases first and are unique per page. This will also display when your content is shared on social media. Ideally between 50-60 characters should be made use of to meet Bing (Yahoo! ), Google and W3C guidelines. Please note character limits are subject to change. Have you optimised your web pages descriptions and are they different for every page? This is important part of the on-page SEO implementation, as it will display on search results, same as the page title tags. Ideally up to 100 to 155 characters should be made use of. These Meta descriptions are not visible on actual websites, only on search engines and on some social media. Please note character limits are subject to change. Are you using H1, H2 and are they correctly ordered? Correctly defined headings aid accessibility and are quite important for SEO. H1 should contain your primary keywords/phrases researched in point one, and then subsequently H2 will have your secondary keywords and so forth. Relevant headings in addition improves usability. Are all your website images height and width defined? Omitting height and width attributes means page text jumps about when images load. Is the image the same size as the actual source file? Minimize the size of the images so your website loads quicker. Do they have meaningful alt text to improve website accessibility and SEO? Alt tags are short for alternative tags. Also, when the Internet is not working properly, sometimes the image won’t load but the alt text will display instead. For alt text restrict the characters less than 150 and include spacing. Ensure all images naming conventions are relevant too, as this increases your search results and improves image search. Are the links on your pages well defined? Well-defined links improves SEO and web accessibility. Are there any old or broken links that are not in use anymore? Ensure you do not use underscores in URLs and they are specific to the pages in question. Google recognises hyphens as word separators, but underscores are not counted in the same way. Having incorrect URL naming conventions can hinder the performance in SERPs. Ensure links within your content are descriptive as possible, avoid ‘click here’ and ‘find out more’ so the user understands exactly where they are navigating to with the link text alone. You should cross-link internal pages throughout your website, this can help rank web pages that are less popular, and visitors are more likely stay on your website longer. Implementing content in a structure that's comprehensible, and searchable is critical to SEO. Websites that are updated regularly are also crawled by search engines more often. Valuable content and great user experience is paramount, therefore it is important you have blogs posted on your website regularly. This is a good way to boost your SEO strategy and in turn attracting relevant visitors. As long as its quality content, the information is useful and has significant purpose for the end user, otherwise it maybe considered as spam. It is crucial your website has an XML sitemap as it ensures your website is seen to be as Google friendly as possible. The sitemap lists all the URLs on your website and allow search engines to crawl your website more intelligently, it also includes additional information such as your websites latest updates and frequency of changes. It is important your website has a robots.txt file, this allows to restrict the access of search engines robots that crawl your website and prevents these robots from accessing particular directories/pages you don’t want them to see. External linking to a few high authority and trusted websites may give the popularity of their website some significance to your website. Search engines treat link building as a vote for popularity; It simply means the more websites that are linking back to your website, the more importance search engines will associate to your website. Link building has changed in recent years to such an extent that earning quality links has far more value than buying links. 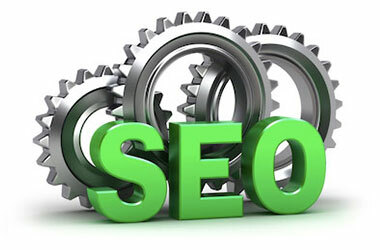 Download the above Top 10 Tips For Improving Search Engine Optimisation (SEO). Please download Adobe Reader to view the content (this link opens in a new window).